I was a daycare baby. In the ’70s, still relatively few families involved both parents working and if they did, extended family often took care of the little ones. My parents, however, were members of a growing group of transplants without extended family who relied on two incomes to make finances work. At the time, daycare options were limited. High quality care was virtually non-existent. In 1977 (77 being my parents’ lucky number) they dove in the deep end and to this day, both remain active in advocating for quality preschool education and support of early childhood professionals. 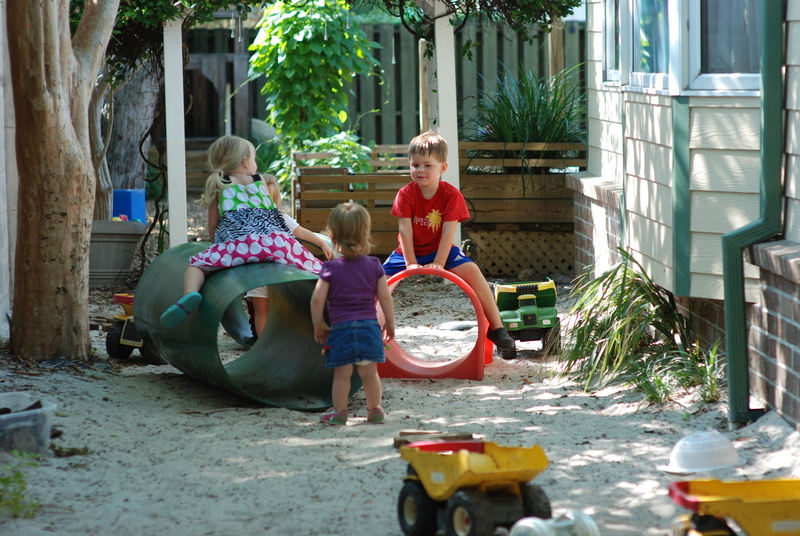 During the late 90s, in search of more meaningful work, I left the international commodity export trading industry to check out the daycare my family still owned in Charleston, SC. Over the past 15 years, I’ve come to recognize that while the center does provide childcare services, the word “daycare” doesn’t come close to describing the work going on here. I’m saddened by the idea, however, that even after all these decades many of our children still only have daycare options available to support working parents. The long term ramifications affect the very fabric of our society. What do I mean by DAYCARE? The best way for me to describe the difference between “daycare” and “early childhood experience” is to turn back to my first professional experiences as a food commodity trader where I sold frozen chicken- both as a commodity and the further processed value added versions- by the container. When you evaluate childcare options as a commodity, the assumption is that all centers are equal. As such, the only concerns would be- what is your tuition? and- how much can I get for that price, or what are your hours of operation? While tuition and hours of operation certainly play into a family’s ability to afford or work the care into their professional lives, our experience has been that extended hours and lower tuition correlates to the quality of care your child will receive while away from her home. Extended hours often mean children shuffle from room to room as teachers stagger in for their eight hour day. Young children may find themselves in unfamiliar environments, with unfamiliar adults, amongst unfamiliar children of a broad age range. Lower tuition typically relates to lower wages and professional development and benefits for the early childhood caregiver. Both- extended hours and lower tuition- end up equating to teacher burnout and higher turnover. An additional $1.00/day even for small schools with enrollment under 80 families can afford your preschool flexibility to lower ratios, add curriculum enhancements, or increase teacher benefits adding to the well-being of its community. Research continues to pour forth validating the critical importance of the formative years and the return on investment society reaps in providing a stable infrastructure for a quality early childhood experience. Paradigms are shifting- our children are our greatest resource, the most valued of products we can produce. Yet still, for the most part, the burden of treating them as such rests on the professionals and parents willing and able to deliver. 1. Size matters: schools with larger enrollment have a more difficult time offering cohesion in quality. It is difficult getting to know families, children and faculty members as resources are pulled managing the administrative needs of large groups. 2. Administration guides school leadership: what are their qualifications and how long have they served the program? Often school administrators have little classroom experience which can inhibit their ability to resource teachers and parents. 3. Facility investment: do you see evidence of continued facility improvements? Facility upgrades and curriculum additions demonstrate a continued investment on the part of the school leadership. 4. Continued adult education: in addition to teacher credentials, what was the last training offered and why? Are parents encouraged to attend? Most states require a minimal number of continued adult education hours for early childhood professionals. Evidence that teachers are encouraged to extend training above these minimal requirements is a great indicator of how they are valued. 5. Teacher retention: many believe that it takes at least five years to become a good early childhood professional. 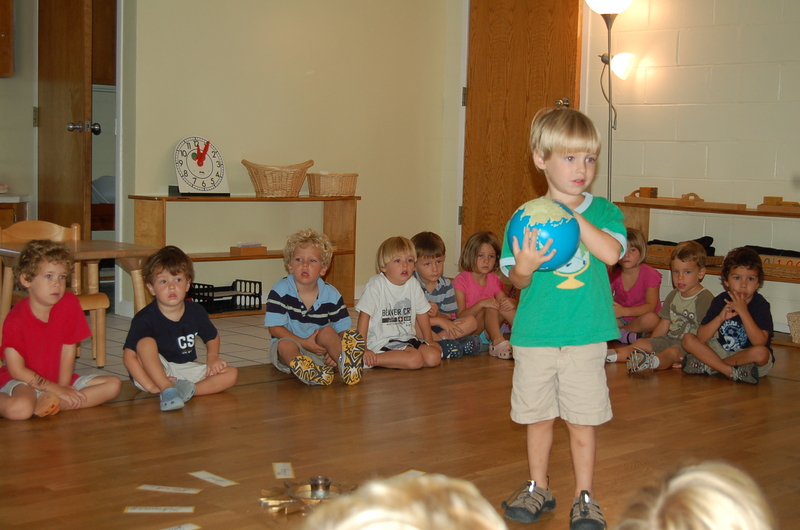 Find out the tenure of your preschool’s teaching team. Turnover directly affects the quality of any program negatively. On our part, you’ll find our tuition and fee schedule non-published. It is shared in person upon touring the facilities in an effort to help provide parents much of the information they will need in making their assessment on who will care and provide for their child when they are away. A special thanks to David Vigliotti for capturing our moments together at Little Learners Lodge and Montessori of Mount Pleasant. Even before joining the teaching team in 2001, it is obvious through his photos that David has always shared an appreciation for the beauty presented in childhood and the dedication of parents and educators providing for young children. It’s true- much of what you’ll find on a traditional BABY REGISTRY is absent from parents following the Magda Gerber’s RIE Approach. Savy parents know that in many regards, less is more, especially when it comes to healthy attachment and the early learning experiences of an infant’s developing mind. Allow parents to safely transport their infant by vehicle without the worry of discomfort traditional upright infant seats pose when the baby lacks the maturity to hold her head upright on her own. Extended stays in traditional upright car seats can pose physical discomfort for your infant’s developing body. Assists in transitioning and transporting your young infant securely by helping keep the head and spine connected- critical as your baby is building trust and security. When the head and spine are not connected during movement, it can cause your baby to startle- described by Anna Tardos of the Pikler Institute as a feeling of literally losing your head and coming apart. Topponcinos should allow for free movement of your baby’s limbs (there’s no need to swaddle) and will provide the infant with additional warmth to boot. Helps parent enjoy a more worry-free baby rest time when your infant is at sleep. 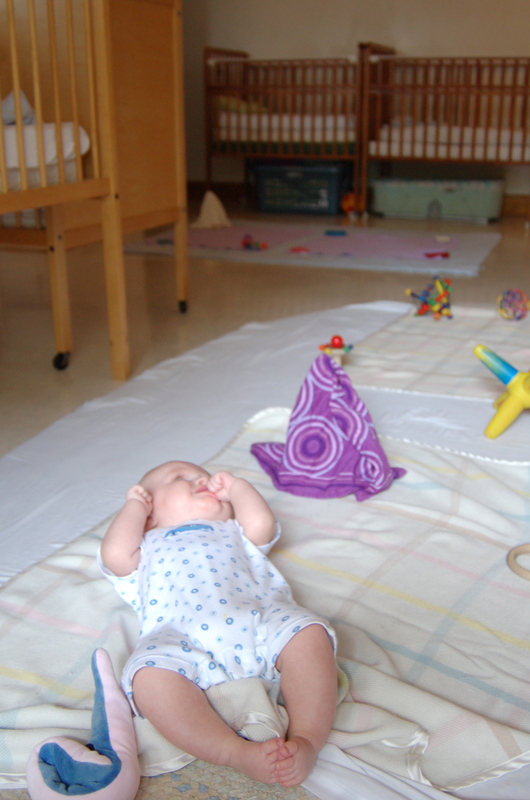 Often during rest a blanket becomes bunched or is pulled over your baby’s face. 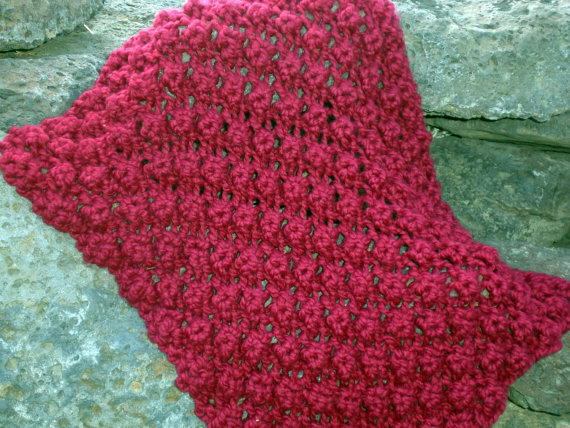 Crochet blankets allow for more air flow and invite your child to grasp with fingers and toes. Offers flexibility for parents with a lifestyle on the move- one that typically comes with multiple children. The very young infant sleeps quite a bit and derives security from being able to have contact with his perimeter. 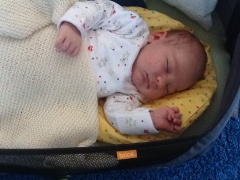 Car seats prompt a baby placing pressure on her lower extremities, while a Moses Basket lies flat and allows for more freedom of movement during rest. It’s consistent and predictable when your schedule isn’t always, allowing your child to feel comfortable resting away from his crib and even outdoors. 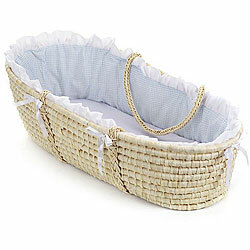 As an added bonus, Moses Baskets make great doll carriers when your children have outgrown them. Soothes both child and parent when things seem to be getting hectic. Some research suggests that when played periodically throughout the day (not constantly), classical music is beneficial to your infant’s developing brain. 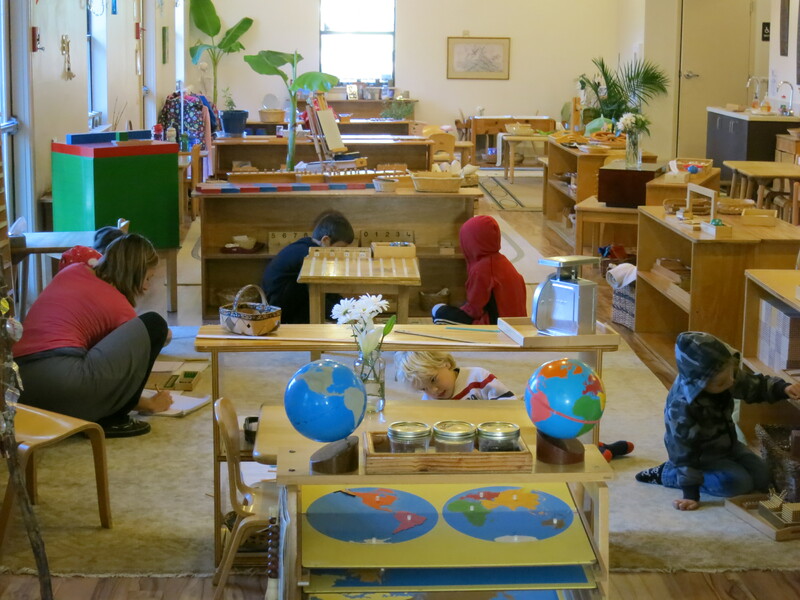 Adults should be sensitive that an infant works hard trying to make sense of the new environment around him- sounds play an integral part in his decoding. Plan for lots of quite time, access to nature sounds (open window our outdoors), and keep her room media-free. 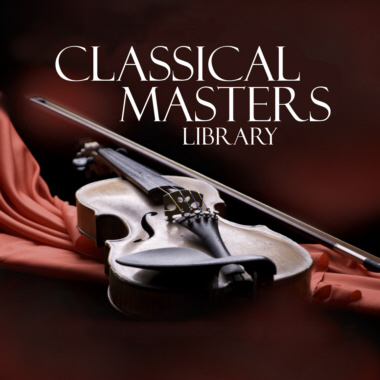 If you do choose to play music, playing classical has proven to be the most beneficial. You’ll notice an absence of toys and play objects. 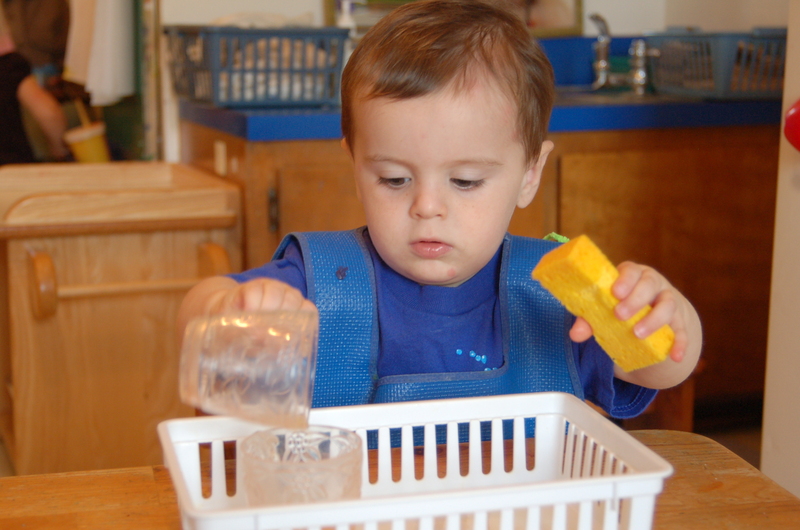 Your baby’s first play object should by his hand and it’s not until “hand regard” that we might introduce simple everyday household play objects such as a scarf, ring, ball or lid. We’ve also left out high chairs, swings, bouncy seats, carriers, pacifiers and the like. These items not only inhibit free movement and self-regulation critical to your child’s developing brain, but also foster a dependency for them. These are our favorites- what would you add to the list?